Yaniv is dedicated to creating a more equitable and peaceful society for Israel. His service as a combat commander in the Israeli Defense Forces opened his eyes to the horror and waste of war. Ever since, he has devoted his energies to translating his love for Israel’s diversity and multiculturalism into concrete peace initiatives. Before becoming a Sauvé Fellow, Yaniv served as a project coordinator for the Naumann Foundation for Liberty in Jerusalem, where he ran civic education programs addressing social cohesion. He worked as a research assistant in the Harry S. Truman Institute for the advancement of Peace. At the Hillel student organization, Yaniv initiated, planned and led events based on religious and cultural pluralism to promote student action to make a change in their communities. For three years he was a volunteer mentor in the Possibilities project, which offers delinquent immigrant youth a chance to turn their lives around. In 2007, as a One Voice Ambassador, Yaniv conducted a speaking tour of universities and colleges in the Washington D.C. area together with his Palestinian counterpart, and participated in a unique documentary film with a Palestinian student from Beirzeit University. Believing that grassroots activism must be combined with legislation, Yaniv interned as a parliamentary assistant to Member of Knesset Yaakov Margi. He participated in the StandWithUs International professional leadership course, and was selected to be an intern in the Israeli Embassy in London. Yaniv holds a BA degree in Political Science, Sociology and Anthropology from the Hebrew University of Jerusalem. Following his year as a Sauvé Scholar, he received the E. David Fischman Scholarship to attend the Harvard Kennedy School as a Master in Public Policy candidate. 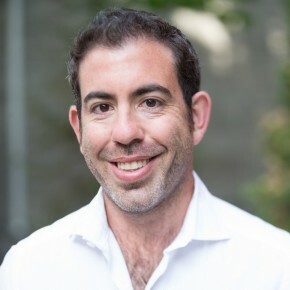 Yaniv developed, co-founded and launched the North American operation of Comtribute. His work in civil society and the frustrations of obtaining sustainable funding led him to think about how the Internet and success of viral marketing campaigns might be used for the good of organisations serving communities across the globe. The solution was developed with a team of IT experts and the guidance of Professor Jim Torczyner, Founder and Director of the McGill Middle East Program in Civil Society and Peace Building (MMEP). Using Comtribute’s unique platform, organisations create a customizable search site and/or toolbar, powered by search engines such as Yahoo! Every time one of their supporters performs a search through that site some of the advertising revenue generated is automatically donated to the organisation. Thus, by carrying out their day-to-day Internet searches, supporters of various organisations and causes can make a real financial impact. Yaniv was also invited to speak about the Israeli-Palestinian conflict in various forums and programs, including at the Universities of British Columbia and McGill, and was selected to participate in the 2010 Clinton Global Initiative University. Continuing his work on peace initiatives, he took part in the Peace 2 Peace project with the Israeli Consulate in Montreal, and spoke in local elementary and secondary schools about Peace in the Middle East. In May 2015, Yaniv returned to Sauvé House to participate in Sauvé Encore! 2015, as part of the Foundation’s alumni outreach program.